MAGAR STAR AIDS AND NATURAL SOCIAL SERVICE TRUST is located in vellore Tamil Nadu . MAGAR STAR AIDS AND NATURAL SOCIAL SERVICE TRUST is registered as a Trust at VELLORE of state Tamil Nadu with Ngo unique registration ID 'TN/2009/0006861' . 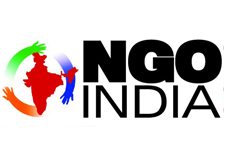 The NGO registration is done by Charity Commissioner with registration number 1232/BK4/2005 on the date of 14-09-2005, Its parent ORganaisation is PaulFoundation. The Chairman of MAGAR STAR AIDS AND NATURAL SOCIAL SERVICE TRUST is LAKSHMINARAYANAN and Chief functionary officer is LAKSHMINARAYANAN. 5/157, Devikapuram Village, Senji Post, Lattri VIA, Katpadi Taluk, Vellore District, Vellore - 632 202, Tamilnadu, South India.